All prices stated are for scripts 125 pages or less. For every page beyond the 125, there will be an additional charge of $3/page. Please contact me before purchasing a consultation from the site so we can make the appropriate arrangements. If you know the service you’d like, you can submit your script and payments online thru Paypal. If you are not sure about what service you want, you can contact me first to discuss it. Make sure to put your phone number in your email and I will get back to you within 24 hours. You may also submit a hardcopy of your script and mail a check, please contact me for mailing address. Q: What is the easiest way to submit a script? Q: Do you read and cover all the scripts yourself or do you have interns read them? Q: Why do you charge $3 per page over 125pgs? Q: Will I get my script sent back to me? Q: Do your notes come with a grading sheet and overall recommendation? Q: Do I have to pay before submitting the script? Q: At what point during my writing process should I be consulting with you? Q: What should I expect from your services? Q: If I have changed my script significantly according to your notes or have used lines of dialogue you suggested, do I have to credit you on the script? Q: I noticed that you work as an independent producer and also with Clifford Werber Productions. By submitting my script to No BullScript, does this mean I am also submitting my script to Clifford Werber Productions or any other company you are affiliated with? Q: If my script gets a RECOMMEND, does this mean you want to produce it? Q: If my script gets a RECOMMEND, will you send it out to other producers or representatives? Q: Do I need to register my script before submitting it? Q: How can I guarantee the confidentiality of my idea and script? Q: Do you ever ghost write, rewrite or co-write scripts with clients? 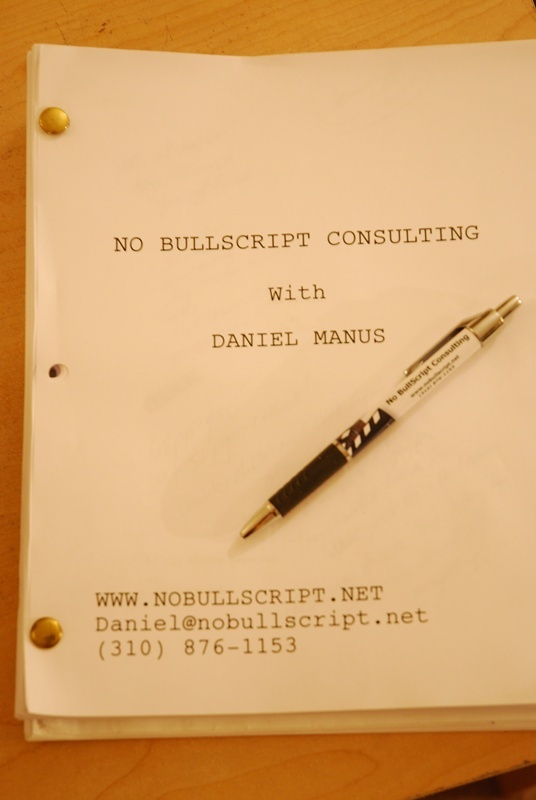 A: Once you’ve checked out, the easiest way to submit your script is to email it to me at Daniel@nobullscript.net. But hard copy is fine too. A: ALL scripts are read and covered/analyzed by me. Your script will not be farmed out to any analyst you don’t know. A: Normal turnaround time for most services is 3 weeks (not including holidays) from the time I receive your script. I try very hard to get everyone’s notes back as quickly as possible, but because I do all notes myself, sometimes turnaround times are delayed slightly. In your confirmation email, I will let you know how long expected delivery of the notes will take. For In-Depth Page by Page Analysis, Editing or Reformatting services, turnaround time is about 4-6 weeks! Please email me before ordering a Polish service as timelines may differ. Rush services are available for most services, however, so please ask about them! A: The reason is two-fold. One, execs don’t like reading long scripts. If a script is incredibly long (120pgs is the high end of average), it might get pushed to the bottom of the pile or may only be read to page 30 or 40. It’s important that writers learn how to self-edit to get their scripts down to a professional length. And also, while the money you pay is for the notes you receive, much of that time is spent reading the script, and the longer the script is, the longer it takes to read and time is money. Simple as that. A: Not unless we have discussed it beforehand and you have sent a self-addressed stamped envelope. But that is possible if you’d like it. A: Yes. All services come with a final recommendation and the Exclusive No BullScript 20-Point Grading Sheet which includes a rating of “Excellent, Solid, Needs Work, or Poor” for the 20 most important elements of your script including; Concept, Story, Characters, Dialogue, Tone, Structure, Commerciality, Originality, etc. A: Not necessarily, but I do need to receive payment before I return the analysis. A: That’s up to you. Often writers find it useful to consult with me before even starting to write to help flesh out their idea, story or outline and see if they are on the right track. If you’ve completed your first draft, I suggest all writers do an edit on their own first and make any necessary corrections before submitting it so that I can focus on the more important aspects of your script and not on typos or format mistakes. Plus, if your first draft is 160 pages, that’s going to be quite expensive and it will tell me that you still need to learn how to self-edit. But I read scripts at all different steps in the process. A: No matter which service you choose, you should expect to get constructive, detailed and honest professional feedback on your script. You will get specific recommendations on how to improve your script and its overall marketability. While you may not always agree with or enjoy reading my comments, you will receive a professional second opinion on your work and be able to better gauge its chances in Hollywood. A: Absolutely not! I am not here to take or get credit for your script. But if it wins an Oscar, you better mention me in your speech. A: Absolutely NOT! No BullScript is a COMPLETELY separate company. A: No. A rating of “recommend” means that I think your script is good enough and viable enough to be submitted to producers, agents, managers, etc. OR that it is good enough to be entered into screenwriting contests. OR that the writing is strong enough that I think it could earn you meetings around town or other work for hire. That being said, if I am interested in your script in more than just a consulting capacity, I will contact you directly to discuss it. Writers should never pay producers to attach them to their script. 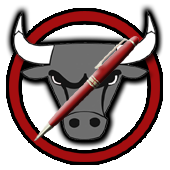 A: As part of the No Bull Hollywood Connection, the logline and query letter of any script that receives a rating of “Recommend” will be sent to the list of companies seen on the No Bull Hollywood Connection Page. The full script will NOT be sent unless the executive requests to read it. The script will also be featured in my monthly e-newsletter, which will further promote you and your work! Please see the No Bull Hollywood Connection Page for more information. A: I would STRONGLY recommend you register your script before submitting it anywhere, including any script consulting company. This will protect both you the writer, and me the analyst. No producer or script consultant is ever out to steal anyone’s ideas (at least I would hope not), but it’s always best to protect yourself. It is pretty cheap to register your script and it will be well worth it to all parties. You can do so by going to the following websites: www.wga.org OR www.wgaeast.org for those on the East Coast. You can also copyright your script through the U.S. Copyright Office at http://www.copyright.gov. A: The very best way is by registering your script, as stated above. I try my very best to keep everyone’s confidentiality, but I can’t tell you how many scripts I read with the exact same story or plot as 5 others I’ve read. A: If you are interested in ghost writing or rewriting services, please contact me and we can discuss it. I do not co-write scripts with clients as it creates a conflict of interest. If you have any further questions, please feel free to contact me via the site and I will be happy to address them!